Candidate John Oselette (District 4) also spent some time responding to Howdy’s comments. His answers, along with Howdy’s questions are below. 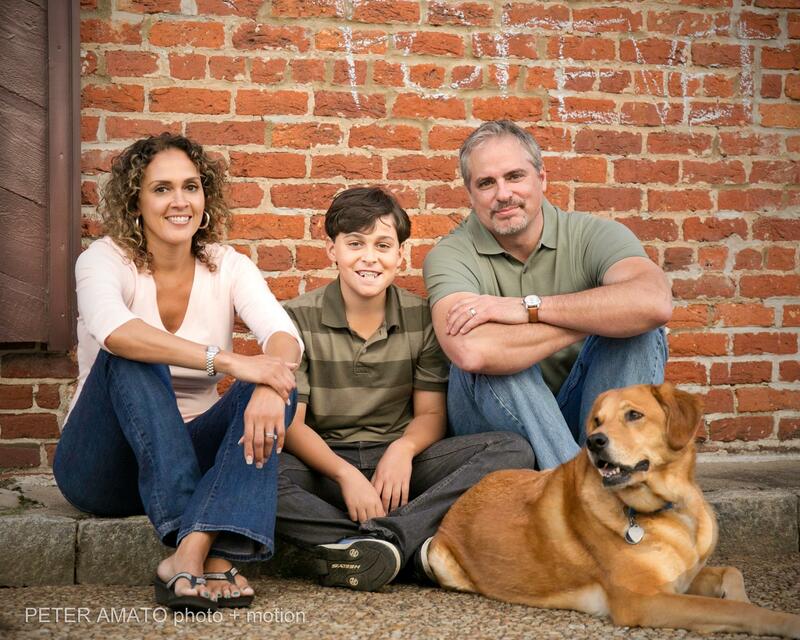 Find out more about John Oselette at his FaceBook page >> John Oselette for District 4 DeKalb School Board. First, what would you propose to do about the court case involving the teachers seeking the restoration of their TRA contributions that the Dekalb School Board voted to terminate? In 1978, DeKalb withdrew from Social Security and established an alternative plan known as the TSA. Employees can contribute to the TSA and the Board contributed to the TSA until 2009. The “TSA lawsuit” was a response to the board waiving the policy requiring a certain amount of notice be given to employees before they stop contributions. The potential liability to DCSD is large. If I had been on the Board for this vote, I would not have voted to suspend these contributions. The district needed to eliminate bloat and waste before it touched a benefit for teachers in the classroom. The Board should plan now for restoring the TSA employer contributions. This benefit is important in recruiting and retaining teachers in DeKalb. I believe the money is there, the priorities are wrong. Second, what specifically would you do to address the bloat in the DCSS administration that has been documented by the AJC and others as far exceeding the administration/teacher ratio of neighboring counties? 1) Conduct a forensic audit of all finances. 2) Request an independent audit of Human Resources and require the Superintendent to fully implement recommended actions. 3) Advocate for an online check register. 3) Advocate for an interactive organizational chart. It should have every employee by division in an easily searchable and understandable graphic. Third, what specifically would you propose to rein in the expenses involved with the so-called “parent centers” that seem to be concentrated in specific areas of Dekalb County and not others? I would propose that Parent Centers be eliminated completely. The funds currently used for parent centers should be directed to add teachers in the classroom and lower class sizes. Fourth, what specifically would you propose to rein in legal expenses? What would you do to insure we ended the practice of duplicating employment of both “white” and “black” law firms when only one is needed? Of the 3 law firms currently employed, one law firm can handle the day-to-day legal needs of the District. I would vote to eliminate the others. Fifth, what specifically would you do to reach out to communities that feel that they have been ignored for too long, such as Dunwoody, Brookhaven, and Lakeside? I would suggest Board “Town Hall” Meetings in communities throughout DeKalb attended by Board members from different Districts and the Superintendent. I would also suggest each Board Member maintain a website with updated information on the issues, what their positions are and what votes they have cast and why. I would also suggest the Superintendent prepare quarterly reports to stakeholders. Sixth, what would you do to restore the trust of the people of Dekalb County in the DCSS? 1) I would work with my colleagues on the Board to immediately begin the formal search process for a professional, experienced and highly successful Superintendent. 2) I would work with my colleagues on the Board to institute financial reforms, beginning with switching to an Accrual Accounting Method. 3) I would work with my colleagues on the Board to institute an on-line check register so every expense is accounted for, viewable to and searchable by the public. 4) I would ask for an independent audit of HR and require the Superintendent to implement all recommended changes. Seventh, what specifically would you do to get the priority on the classroom and not on administration? The board should not approve a budget that doesn’t dramatically shrink central office staff and eliminate wasteful spending. The budget should be drafted from the classroom up. The administration should have to justify every dollar not spent on direct instructional expenses. Eighth, what would you propose to do about initiating a search for a new, permanent superintendent? That should be one of the first items on the agenda for the new Board. The number one quality that the board must identify as a search parameter is for all superintendent candidates to have a record of improving achievement in school districts similar to DeKalb. Ninth, would you undertake to initiate a full independent forensic audit of the Dekalb County School System? If so, would you insist that the results be made public without any modification by anyone? Tenth, what would you propose to insure that the school board and administration listen to and truly consider what the public has to say? Use your vote and hold elected officials accountable. The public should be relentless in their demands for transparency and accountability on the part of the district. Help your board hold the administration accountable by showing up, speaking out and supporting those board members who actively pursue reforms. Eleventh, what is your position on new ideas such as that presented by the Druid Hills Charter Petition? What new directions would you propose to change the status quo at the DCSS and give all of us a new comfort that such charter schools, new independent schools, or other such programs are not needed and that the DCSS will take a new course of improvement that is measurable to convince us that it is serious and can be trusted? I support Charter Clusters and Charter Schools in general. I would have voted for the cluster. Parents and communities need more choices and more autonomy. Twelfth, what specifically would you propose to get administrators out of the way of teachers and to get teachers into a fully accountable position? Each school needs to have control over its budget and HR decisions. The central office should plan an extremely limited role in the functioning of each school. It is impossible to hold schools, principals and their teachers accountable for their results if they are being micromanaged and burdened by a central office bureaucracy. Only when we have true decentralization, can we get a clear picture on how schools and teachers are performing. Thirteenth, are you comfortable with the current budget preparation, presentation, and approval process? If not, what specifically would you change? No, I am not. The budget is not developed in a transparent process with a “classroom first” strategy. As a board member I will advocate for adopting policies that force these improvements. The ongoing financial reporting to the board and public is also not acceptable. We need better and timelier financial reporting. We need monthly reporting done on an accrual basis and an online check register. Finally, what specifically would you propose to end teacher furlough days and to begin to restore their full compensation with some allowance for annual raises? The financial controls I have advocated for will drive money to be spent in the classroom. The results will be to eliminate furlough days, lower class size and provide more money for teachers’ salaries. This entry was posted in Board of Education Meetings, DeKalb School Board Elections, Uncategorized and tagged john oselette. Bookmark the permalink. It seems as though Superintendent Thurmond saw Howdy’s questions because there are several things in Mr. Oselette’s answers which are currently being done. The county is scheduled to switch to the accrual accounting system on July 1. At the same time, the finance department will start using the GADOE chart of accounts. Going forward it will be a lot harder to use the smoke and mirrors of the past. The new computer system was included in the current fiscal year’s budget and is being tested at this time. Superintendent Thurmond also supports charter schools. So much so that he proposed the System Flexibility Decision is DeKalb County Schools will be a Charter District. Every school will become a charter school. Finally, one of the “budget priorities” of the current BOE is to eliminate furlough days. By the time the new board is sworn in, they should be a thing of the past. I like how the question about communities that have been ignored goes ahead and ignores all the other communities who are ignored on this blog and by the board. Let’s hope that these things come to fruition, midvaledad. As I listened to Mr. Bell, it seemed he thought the task of converting the accounting system was too large a task to complete anytime soon. And yes, we do appreciate the vendor spend reports. We’ve been referring to those for a couple of years now. Michael Thurmond didn’t create those. Good news about the search for a replacement though!! We surely hope everyone votes in a qualified new board on May 20 – these will be the people to do the actual hiring!! @Cell: Pray tell – what communities are we ignoring? FWIW, as you know, we are a volunteer crew, not actual paid reporters. We rely on community members to come to the blog to inform us and the rest of our readers. If you have a community you would like to share news about, you are ALWAYS welcome to do so here. You – and anyone – can email us directly at dekalbschoolwatch@gmail.com , fill out our contact form (found at the big arrow on our home page) or drop us a line at our P.O. box (also found at the arrow). We do not, however, go out and dig up news on our own. Just don’t have time to do that much as volunteers. We do the best we can. We would love nothing better than to become unnecessary. Cell, at this point there isn’t a community that doesn’t have a valid complaint about being ignored. Our current administration doesn’t care about any of our schools, south, north, east, west, charter, theme, or magnet. So, two board candidates have responded to Howdy’s questions in a very succinct manner with views that I hold sacred, BUT what about the other candidates? Both responding candidates would get my vote based on their responses. Get off your lazy butts and come out with responses, anyone….Ella, MJ?! anyone not afraid to put their beliefs in words? Of course, the last two would have to have someone write up and edit edit, edit, their remarks. Also, they would need someone to verbally deliver their responses. Or maybe they could learn to lip synch, That would be cool. For sure, neither could get elected on the strength of written and verbal and intellectual skills. GOSH! It’s important to know who is on this so-called “committee” to make recommendations for the supt. office. Does anyone know? Do they “sound” like F&F members, for example? And what in the hell is Thurmond doing making recommendations for a committee???????? That is the board’s job. …DeKalb school board Chairman Melvin Johnson said Tuesday that DeKalb will begin discussing a search for a replacement in June. He named three board members — Joyce Morley, John Coleman and Jim McMahan — to prepare for that discussion. Besides DeKalb, Cobb County will be searching for a superintendent, after the resignation of Michael Hinojosa…. jWhat does “prepare for that discussion” mean? Is this the “committee”? I believe by the committee must flesh out the qualities they are looking for in a supt first. It sounds like they will be responsible for putting this together. With some real luck Morley will not get to finish the job. Ready for someone else…next. Mr. Oselette, thank you for your response – I appreciate your candor and succinctness! I do live in your district and you are, by far, the best and most qualified candidate of those running in District 4. I would like to hear from the other candidates not only in the 4th, but from other districts as well. The questions I asked are not difficult to answer, as you demonstrated so well. Stan Jester appears on the verge of being elected and, given Orson’s record, I think that Don McChensney’s chances at being elected are also bright. And, given Jim McMahon’s record, I think that you (Mr. Oselette) should be very popular with voters in the 4th District. That is just one short of a majority. Except for Melvin Johnson, Joyce Morley, Jay Cunningham, and Thad Mayfield, I am not familiar with the other candidates. Of these four, I oppose the first three and am open to Mr. Mayfield – he did ask some very good questions and, as I recall, he did vote for the Druid Hills Charter Petition. Switching my Rolodex, I question Mr. Thurmond’s involvement in any formal role in searching for his successor. My understanding is that responsibility is that of the school board and it should be naming a search committee and establishing search criteria. It should not delegate that responsibility to anyone, let alone Mr. Thurmond. I’ve said earlier that I’ve given up on this school board to get anything right. Accordingly, I believe that the current school board is in the “lame duck” mode – it has had over a year to initiate a search for a superintendent and is only now beginning to think about doing what should have been its number one priority. This board had its opportunity and did nothing. Leave it alone – let the school board that takes office next January conduct this search and hire the next superintendent. Do something right for a change and don’t mess up the next board’s agenda! The People of Dekalb County are going to speak very loudly on May 20 and that voice needs to be heard and respected. Mr. Thurmond should accept his fate gracefully – he will not be the next superintendent of the Dekalb County School System and there are some very good reasons for that. He shouldn’t be worried about his successor – I’m sure that the new board can deal with finding his successor very effectively and, if Mr. Thurmond’s contract expires, it can effectively find an interim. Heck, I’m 72 years old, have a MS in Electrical Engineering, have taught at the college level for years, and would be happy to perform on an interim basis for much, much less than $275,000 a year! But I’m sure that the new board will have a long list of well-qualified candidates. Again, I thank Mr. Oselette for his responses. As it stands now, I’ll be working by Tucker neighborhood on your behalf. It took APS over a year. Unfortunately DCSS can’t wait until January, if Thurmond’s contract expires in the Spring/summer. What we should push the Board to do is to appoint a citizen committee to help manage the search…. This should be one of the better debates. You’ll be surprised by the answers some of these candidates give. Hope to see you there. @concernedmom30329 – we completely and totally agree! A citizen committee must be involved in this next superintendent search. Simply a must. @Howdy and others: If you want to support a candidate, we encourage you to do so wholeheartedly. It is very difficult and expensive to run a campaign and anyone new will be fighting with name recognition (sadly, voters often know only the name, but know nothing of each incumbent’s voting record). You must contribute time and/or money to help someone get elected. This process really does take a village!! Help them get out the word! Thank you for asking these important questions and for engaging the candidates, the public and apparently, the administration. I am pleased to see the announcements from the board and administration. I’d be thrilled if they went a little further and announced that they will be implementing a few more, like the HR audit, on-line check register, lowering class sizes, just to name a few. However, we have a very capable politician as our superintendent and a few very political board members that will not let election year politicking go to waste. We will judge them by their actions. I am in complete aggreement with @concernedmom30329 and others, that there should be a citizens committee selected to manage the search. It would serve the administration well to reach out to local PTA’s and School Councils. Ask the counsel of the grass roots volunteers and parents in the trenches who have paid dearly for the failed leadership of 3 superintendents in 4 years. @John Oselette – Mr. Thurmond did come out when he first became superintendent and met with the community. I attended his meeting in Dunwoody. The problem is that those conversations were largely one way – from him! He was asked questions, he promised to respond, but he never did. It is simply too late for this board and administration to undertake any of the actions that they now propose. I’d like to think that my questions had something to do with what they now propose, but I think that it has been the outpouring of so many people, many who participate in this blog, that has been such a wakeup call. Look at the events of just these past few months – we almost had three new cities in Dekalb County and, had we been able to work out some sort of agreement on overlapping boundaries, we most like would have! The Legislature and even the Dekalb Legislative Delegation put its foot down to reduce the school board size to seven members despite the strenuous objects of Mr. Thurmond and the current board. The seven-member board could well usher in a new majority that is going to change the way things are done in the Dekalb County School Board. Even the Dekalb County Commission is in the midst of its own crisis as is the District Attorney. This current board and administration must feel all alone and desperate, reaching out to grab any straw that it can to retain some level of capability to at least slow things down. I’m sure that this administration must have an uncomfortable feeling about how SACS is viewing these recent events. As so many on this blog pointed out just a year ago – change is coming!! School Watch – comment was not intended against “you” directly (moderators, authors, etc.). It was meant that the discussions in general found here often center around the issues of certain communities while others are “ignored” (which can also mean those issues are “unknown” as the communities do not speak up or are not regular posters on this or any particular blog). Often, the concern of the poor and underserved are never discussed because we simply are unaware of their issues. Those are the children we should worry about the most. For example, I heard a parent from Jolly Elementary School speak about how severely overcrowded their school has been for the past several years due to the heavy influx of the refugees to the Clarkston area. There are Title I children at their school who are not able to get the after school tutoring and other benefits that usually come along with the Title I funding because there are so many children arriving in their area from war-torn nations who know zero English. The refugees have a greater need than just plain ol’ poor American kids with single parent households who we are accustomed to writing off, so there is an entire group of Title I kids who are American kids, who are not getting access to Title I assistance. I’m not saying that one group is more needy than the other. I’m just pointing out that if you didn’t know about this problem, that’s likely because this is a community that is truly being ignored. Aren’t they slightly more “ignored” than the “Lakeside” community (remember that Lakeside is a highly sought school district and the school many politicians go out of their way to ensure their own children will attend). You may not remember, but Tucker was actually, truly ignored by two of our own board members and the Superintendent when they first took office.. Here is a link about that: http://tucker.patch.com/groups/cheryl-millers-blog/p/bp–was-tucker-high-schools-graduation-rate-marginali9615f08a33. I’m more inclined to think of our system like a revolving door of abuse. If you are being treated well now, it’s only a matter of time before the tides change. In fact, maybe ignored is a better state of existence than being abused. I’d rather fly under the radar than get dumped on in some way by those who think they can take advantage of us. Hug a GOOD teacher today. They need it. We also do dig up what we can on our own. In fact, check out two of our most important posts about communities in need. One was our first on this new blog, about the blight caused all around the county by closed schools. We went out for two days and took pictures of all of the harm our school system has caused neighborhoods by shuttering schools. The second is about enrollment numbers and demographics at every school in DeKalb. @GETtheCell. . . You have hit on an issue that is hard to discuss in this area. I think the problem is that DeKalb has clustered most of its at-risk students into specific schools. It may not have been deliberate because we are at the mercy of our county zoning board. It seems that any time a builder wants to rezone a property to put in high density housing (usually apartments) they are approved. The builders often under estimate the number of children who will live in this housing and they never take about the impact on local schools. The builder may also insist that they are building “high end” residences and few families will be able to afford to live there. Unfortunately, when the apartments don’t rent the owner turns to subsidized housing options. At that point it is too late for the local school. As the number of needy students increases, middle class families flee the school. Without that middle class anchor, you have trouble finding PTA officers and community members who are willing (have the time) to serve on school council. Families either don’t have time or don’t know why they should come to school for a conference. Their child’s progress may be similar to other children they know. They don’t see that their child is falling behind. They may not know what should be happening in their child’s classroom. You or I would call the school if there weren’t enough textbooks or supplies in the classroom. A student who comes to this country as a refugee may find this to be a normal occurrence. It is very difficult to fight this type of rezoning. Residents have to work together and there will be meeting after meeting where the issue was on the agenda but not discussed. It can take months of effort to negotiate an acceptable solution. Why doesn’t the school system take an interest in the zoning decisions that are being made? They could make a difference. @September – You make an excellent point! For the reasons you cited, that is why we in Tucker wanted to include Zoning as one of the three functions that a new City of Tucker would take over (the other two are Parks and Recreation and Code Enforcement). Dekalb County has not done a very good job of protecting the County’s residents in zoning matters and that goes back for at least 15 years. This was particularly true during the Administration of Vernon Jones where he imposed a few by vetoing even the few where the Commission did try to stand up for the people. The situation in Clarkston is very sad – that community should have set limits and insisted that the those from other countries flooding its City be settled elsewhere. America, me included, welcomes those who are under duress but we also must be respectful of the capabilities of communities to accommodate their needs – there are limitations. As I write this, Clarkston has plans to “annex” parts of Tucker to get access to its tax base. They might as well forget that and spend their time more productively. They might take a page out of Lakeside’s experience with Tucker! Our community has never been more united and excited about our future as a City of Tucker than we are now. Once again, I am very hopeful that we can work with Lakeside and Briarcliff in the coming year to reach a win/win/win for all three communities. I’m tired of fighting the County and fighting the school board. There are no assurances of what the future holds for Dekalb County (What happens if Burrell Ellis wins in Court? Does he get his old job back? What happens to all of Lee May’s great plans? Right now, those great plans are in “committee” – been there, done that!). There was a time just after the Cities of Dunwoody and Brookhaven were created and just before the cityhood efforts in Lakeside, Tucker, and Briarcliff began that afforded Dekalb County a great opportunity. It did nothing. It let those efforts get fully organized, allowed $30,000 to be raised by each to conduct a feasibility study, allowed those feasibility studies to be conducted, and stood by while each of those communities held countless meetings to build support. Notice that I am speaking about the administration – our police force, our firefighters, our emergency personnel, and others like them have done an outstanding job. That’s one reason why I like Tucker’s plan to maintain these services and keep our commitments to their pension plans and to their families. But I repeat – the future of the Dekalb County administration and that of the school system is, at best, uncertain. Perhaps the May 20 elections can change some of that – let’s hope so. Hi Howdy, I appreciate your sticking up for Tucker across the board, but I think you are mistaken about Clarkston’s plans. I’ve looked at a map (now, granted it was on a Tucker related website as I could not find one from Clarkston), and the only areas they had looked at are areas currently considered “unincorporated Clarkston.” I think the Briarcliff city group announced a change in their borders and used the annexation plans as their excuse, but it did not pan out to be accurate. Also, when you say that you like Tucker’s plan to maintain certain services, I just want to make sure you are aware that the original Tucker plan would have included police and many people objected to it as the expense did not seem to be worth giving up the DeKalb HQ being located in Tucker as well as the Tucker precinct esp. after the North precinct in Dunwoody closed and all those officers were moved to the central HQ location for dispatch. But, Tucker 2014 stated many times that the police and fire would be something they could and would consider after becoming a city. Any of the cities that state they want to take on very little are likely just selling the easiest pill to swallow for now. I expect they will all want more (money, power, etc.) as time goes on. I think it’s a stretch to refer to any of those areas as being Tucker. If anything it was one of the proto-cities (not Tucker, but I forget which) that looked like it might be gerrymandering to grab some of the above FROM Clarkston. I know it’s fashionable on this board to refer to “Clarkston’s problems” (to borrow bettyandveronica’s euphemism for refugees) but it’s actually the refugees that make Clarkston considerably more vibrant than a lot of the monotone parts of this county. Yes, the schools here get dumped with some of the lesser academic and administrative talents (it’s not just Cross Keys that gets dumped on because it has more colors than black & white). It would help if the 30021 zip code had some representation (Burrell, who couldn’t find Clarkston on a map, was followed by Sharon, who can’t balance a checkbook, and ‘our’ school board reps have long pandered to the south end of the district) but diversity is a challenge and a strength, not a burden. Friends, get off at exit 40 and try it some time. The 10K and community day is April 26. If you go to Clarkston’s city website, you will find that it has three phases in its annexation plans. First, they want to annex the portion between Coolege Road and I285, then between Coolege Road and Brockett Road and, in the third phase, they want to move north across Brockett Road. All of these plans would have Lawrenceville Highway as the northern boundary. I think that US78 (Stone Mountain Freeway) makes an excellent southern boundary for Tucker – it is very clear, people don’t live on either immediate side of US78. My top concerns with Dekalb County have always been zoning and code enforcement. Because Tucker is very strong is maintaining Henderson Park, Main Street, Northlake, etc., it seems that Parks and Recreation is a natural for the third service – any city has to assume responsibilities for at least three services. I’ve never had any issue with police protection, fire protection, or related services. In fact, I developed a deep respect for our police when the Vernon Jones-led administration passed those onerous ordinances expanding bar hours and similar activities. The police department established a precinct in Tucker and really tightened down on enforcement. I think that level of enforcement had a lot to do with a number of those establishments closing, but the damage had been done because many good businesses also left. Fire response has always been outstanding. I’m not one to take over services if those existing are providing good value. The police and fire leadership have always been very visible in the community and have always been available to attend community meetings. I just don’t think that seven people in the County can effectively watch out for the People with such a broad area to zone. That can be done much more effectively in our own community. Tucker has a very natural boundary and the people who live here share similar likes, interests, and values. Clarkston is not a part of Tucker nor is Tucker a part of Clarkston and selfish interests of either should not change that reality. Clarkston chose to be what it is and Tucker has chosen to be what it is and each needs to be satisfied with that and not mess with the other. Also, I’m not out to attempt to influence any schools in other parts of the County, but I do have some very strong feelings about those in Tucker, as do many of my neighbors. Decatur has its own school system as does Marietta and I long to have the same for Tucker so that our schools can reflect the interests and values of our community. Dekalb County is simply too big to allow that to happen. People in our community have long been unhappy with what the Dekalb School System has become, but we have very little say in what happens within the DCSS. We want to have more emphasis on the classroom, better relationships with our teachers, higher morale among the teachers, less emphasis on administration, shorter bus routes for our kids – they don’t need to spend so much time on buses and schools need to be more accessible for parent involvement, greater resolution of issues that now end up in court, and leaders who live in the communities they serve. We’re not there yet, but we have come a long way in just this past year. Just think, a year ago nobody in Dekalb County was even thinking about charter schools and now Michael Thurmond wants to create one (I’ll be very interested to see exactly what he proposes). In closing, I grew up in a small town where we had one high school that was fed by three junior high schools. Parents were involved as was the greater community. People talked things out and good solutions always seemed to emerge. I’m not saying that we need to go back to that one high school model, but we have certainly moved too far away from it in Dekalb County and the results make us painfully aware of that. Is DSW endorsing candidates for the school board this go around? What do any of us make out of the fact that only two of the prospective board members have responded to Howdy’s excellent questions? How about: more of the same that we have come to expect from the DeKalb School Board — no transparency; no real interest in educating children; dismissive of teachers; lockstep with the Palace and Michael’s (Thurmond) Minions? Why is it it that whenever Thurmond sends out a letter or press release he includes bullet points touting what has been done under his watch. The bridge is broken Mr. T.
The Bridge is being built! • Provided conferences, seminars, and workshops for parents and families. A recent analysis and review of student data confirms that our students are growing and improving academically. Our renewed focus on teaching and learning will be fundamental to the District’s success in the coming weeks, months, and years. Ultimately, the goal is to fulfill our primary purpose, which is graduation and college and career readiness for each student. As Superintendent of the DeKalb County School District, I recognize your dedication and applaud your efforts to help students achieve their academic goals. Thank you for being a loving and engaged parent, guardian, and mentor! I challenge him to show any evidence of these implementations. The fiscal alignment bullet is pure, absurdist humor. But no one is laughing.